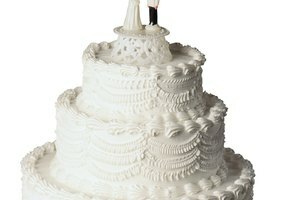 Although often used interchangeably, a professional baker will tell you that icing and frosting are indeed different. 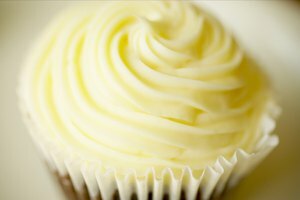 The most common way to differentiate frosting and icing is that frosting has a thick and fluffy texture while icing is a much thinner product. 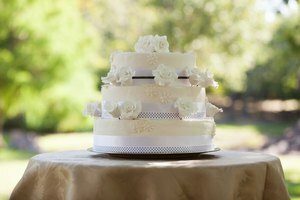 The ingredient used to thin icing or frosting depends on the type. For the most part, slowly adding more of the liquid used in the recipe makes it thinner. If you're thinning a store-bought icing or frosting, whisk in some whole milk 1 teaspoon at a time until the desired consistency is reached. Use soy, almond, coconut or any other type of milk if dietary substitutions are necessary. Exceptionally versatile, a basic vanilla icing of powdered sugar, milk and vanilla extract is a staple recipe for bakers. If yours turns out too thick, slowly whisk in more milk 1 teaspoon at a time until the icing is thinned to perfection. Chocolate icing made from real chocolate (as opposed to cocoa powder) can be thinned by simply heating the mixture in the microwave or on the stovetop. Alternatively, use milk, cream or coffee to thin chocolate icing. Made from a base of butter, powdered sugar and cream, buttercream is a thick frosting that stays soft after frosting and is used mainly for cakes and sometimes cookies. Buttercream can become too thick if it is beaten too much or if you're making it in a cold climate. 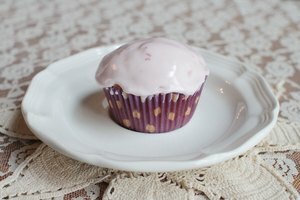 To thin buttercream frosting, beat in extra milk or cream 1 teaspoon at a time until the icing is the right consistency. Carrot cake is a classic way to use cream cheese frosting. 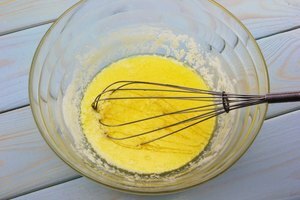 This rich frosting can come out too thick if the butter and/or cream cheese is not fully softened before mixing the recipe together. In this case, put a small amount of hot water in the bottom of a bowl slightly bigger than the bowl your frosting is in. Carefully lower the frosting bowl into the bowl with hot water, making sure the water does not overflow into the frosting. Continuously stir the frosting, pressing it to the sides of the bowl, until the ingredients soften and thin the frosting.